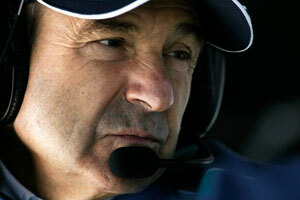 Peter Sauber: Forty years on, mission accomplished? Sauber Motorsport celebrates 40 years of racing at Hockenheim next week. Peter Sauber took time out to reflect. Q: Why did you decide, four decades ago, to go into business building racing sports cars? Switzerland isn't exactly the most popular place to set up this kind of company? Peter Sauber: My occasional amateur races in a VW Beetle and the work I used to do on the car brought me into contact with the motor sport community in Switzerland. Within these circles I met a like-minded enthusiast, and together we developed the project for building two-seater racing sports cars. If we'd looked into the economic wisdom of building and selling racing sports cars in Switzerland, there's no way it would have made sense. But luckily the sensible approach doesn't always win the day! Q: Was it possible to earn enough money in this business? Sauber: No, it wasn't. Between 1970 and 1978 we built a total of 13 examples of the C1 to C5 models. But that just didn't prove to be economically viable. Building and selling the cars was nowhere near enough. However, we were able to make money by running the cars for wealthy clients. Q: Were there moments when you were tempted to throw in the towel? Sauber: Oh yes, there were a lot of those! The first 10 years were especially difficult, as we weren't just lacking the financial resources but also the people we needed. We were pushing our limits physically as well. There were many occasions when we worked late into the night. The Le Mans 24-hour race was particularly gruelling; with all the preparations for the race, you barely slept for a week. If you then had to watch the cars drop out mid-way through the race, it would finish you off both physically and mentally. More than once I called my wife from Le Mans and said to her: That's it, I've had enough now. That idea never lasted for long, though. We always kept going. I was aware from the outset that it was extremely difficult for a whole variety of reasons to make a living from building racing cars in Switzerland. What always drove me on, though, was the determination not to concede defeat in the face of an almost insurmountable challenge. Q: How did you work in those days? Who designed the cars and who built them? Sauber: We started out as a two-man operation. With the C1, which we built in the cellar of my parents' house, we started out with a pretty good idea. The basis for this was a Brabham Formula 3 machine, including the engine and gearbox, for which we designed a new two-seater chassis and bodywork. The C1 was much better than the cars it was racing against. That was how I managed to win the Swiss sports car championship in 1970. I certainly wasn't a particularly talented driver. Q: How did things go from there? Sauber: The C2 was created according to the same principle, but for the C3 we designed every part ourselves. Like its two predecessors, it was based on a tubular frame. By then there were four of us working together, one of whom was a friend from school who was studying engineering at the time. He was responsible for the design and I did the soldering and welding. With the C4 and C5 we used an aluminium monocoque which we also made ourselves for the first time. From the C3 onwards Paucoplast were responsible for building the body, and the company is still doing work for us today. It was a very intense time. Q: How did the partnership with Mercedes-Benz gradually take shape? Sauber: It began in 1984 and was a very delicate matter to start with. Motor sport was still a taboo subject at Mercedes back then, with the serious accident at Le Mans in 1955 still weighing heavily. So a dedicated group of Mercedes engineers helped us out in their free time until we became the official works team of Mercedes-Benz in 1988. Professor Werner Niefer was Chairman of the Board at the time and a real old-school businessman - of the sort you struggle to find in large companies nowadays. Back then I worked with Mercedes without a contract; I shook hands with Professor Niefer, and that was worth more than any piece of paper with signatures scrawled on it. Q: What was the story with the Silver Arrows? Sauber: In March 1989 the Sauber-Mercedes C9 cars, with their dark blue paintwork, were all ready for their first race at Suzuka. Professor Niefer wanted the cars painted silver, but there was a lot of resistance among his colleagues on the Board, for whom our prospects of success were too uncertain. Professor Niefer asked me to paint a model car silver and bring it to the Geneva Motor Show, where the key meeting was due to take place. Things were not moving very fast, but then he suddenly put his arm around my shoulder, took me aside and said: They're all such scaredy-cats. Change the colour! The cars were duly repainted, but it was all very cloak-and-dagger. This was the rebirth of the Silver Arrows. We celebrated a one-two at Suzuka, won the Manufacturers' and Drivers titles in the World Sports Car Championship and crossed the line first and second at Le Mans as well. So we repaid his faith in us. Q: What would you say has been the best period you've had over the 40 years? Sauber: Off the top of my head I'm tempted to say the successful time with Mercedes. But when I think back now, the 18 years in F1 are right up there, of course. I don't really want to single out any particular period of time; the whole 40 years have been amazing, and the difficult moments are all part of that. Q: You brought Mercedes-Benz back into motor sport and provided BMW with the platform to line up as a works team in F1. Are you proud of what you've achieved? Sauber: Yes, definitely. I'm also proud that I achieved this from Switzerland. After all, these are two big German companies with long histories. In 2005 the German automobile association, the ADAC, presented me with an award in recognition of my achievements, so it isn't as if it went totally unnoticed. Q: What have been the sporting highlights of your career? Sauber: In the old days I would certainly say winning the Manufacturers' and Drivers' titles in the World Sports Car Championship in 1989 and the one-two in the Le Mans 24 Hours. More recently, the highlight would have to be Robert Kubica and Nick Heidfeld's one-two in the 2008 Canadian Grand Prix in Montreal. Q: And the low points? Sauber: Without doubt the serious accident suffered by Karl Wendlinger in Monaco in 1994, which left him in a coma for 19 days, and Robert Kubica's horrific crash in Montreal in 2007. In the end, both accidents had a happy ending. Robert is still competing in Formula One, of course, and Karl continues to race GT sports cars. I'm very thankful that they are able to do so. Q: How do you hope the future will work out? Sauber: I'd like to lead the team back into a secure position and establish it at a good level from a racing point of view. If I can manage that, it will be a case of mission accomplished for me.